If you are a heavier rider or just want to kite and have fun instead of standing on the Beach watching others ride on this board. Just get one and kite in lighter winds than you ever have before. 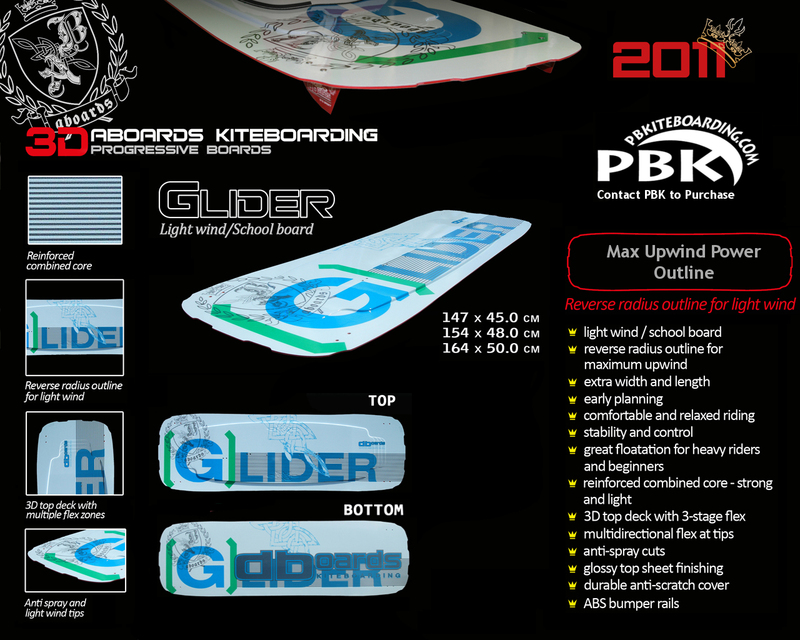 GLIDER 2011 is heavily improved board from compared to last year. It has become a dedicated 3D board for light wind conditions and for teaching in kiteschools to allow fast progression with a bigger and wider board. The Glider has balanced flex. Composite core, special anti-scratch cover and ABS bumper rails ensure maximum strength and durability at reasonable weight.. 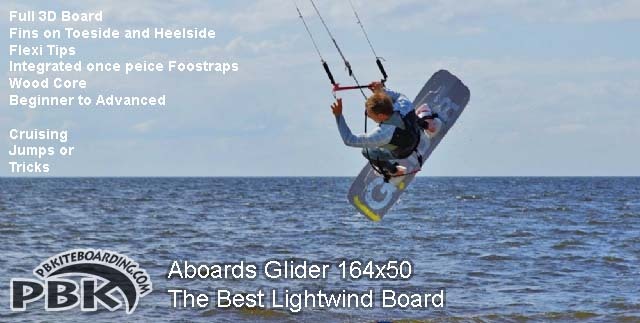 The New GLIDER features strengthened central part of the board for excellent upwind and edge control and various flex level tips. Its outline is specifically designed for light wind conditions. Extra width is added to the board to ensure early planning. Want to Jump and do tricks? You need to be able to go Upwind! And the Ozone Zephyr 17m (Power)!